A multipurpose room functions as a theater, arts and crafts zone, community meeting room, and occasional dance hall. 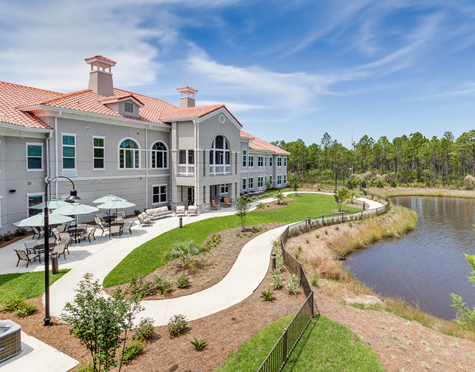 Residents wishing to enjoy the outdoors have access to outdoor dining, covered and screened porches, and a walking path overlooking an elegant water fountain. 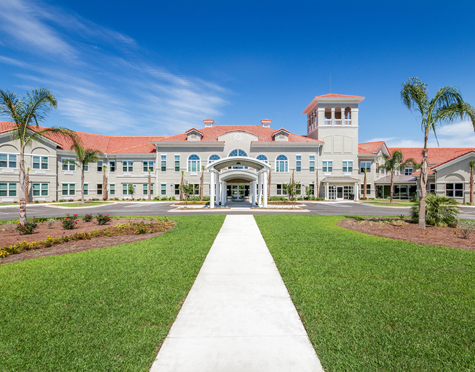 A dedicated and secure memory care neighborhood for 24 residents includes a separate nutrition center, dining room, activity zones, and adjacent staff areas to support memory care residents. They can also enjoy the outdoors from their covered porch, which adjoins an enclosed garden.